CHICAGO (WLS) -- Prostate cancer is usually diagnosed with a standard biopsy but a study published in the Journal of the American Medical Association looking at a more targeted approach that uses magnetic resonance imaging or MRI technology says there may be a more effective approach. Researchers looked at more than 1,000 men with elevated PSA levels. These men underwent both an MRI-guided targeted biopsy and also the traditional standard biopsy using ultrasound alone. The results of both biopsies were then compared. 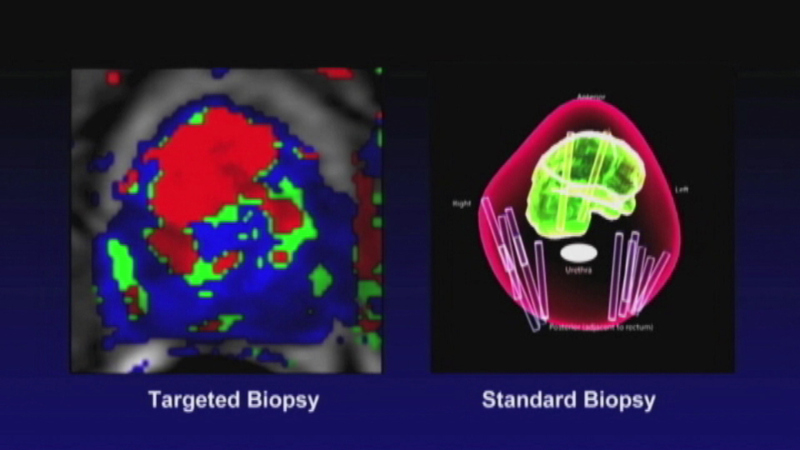 The targeted MRI guided biopsy had a 30 percent increase in detection of high-risk prostate cancer as compared to the traditional biopsies.